Claude Lalanne (born 1924) is a French designer known for her eccentric works, which are often animal themed. She also worked with her late husband, Francois-Xavier Lalannne (1927–2008), under the name Les Lalannes. 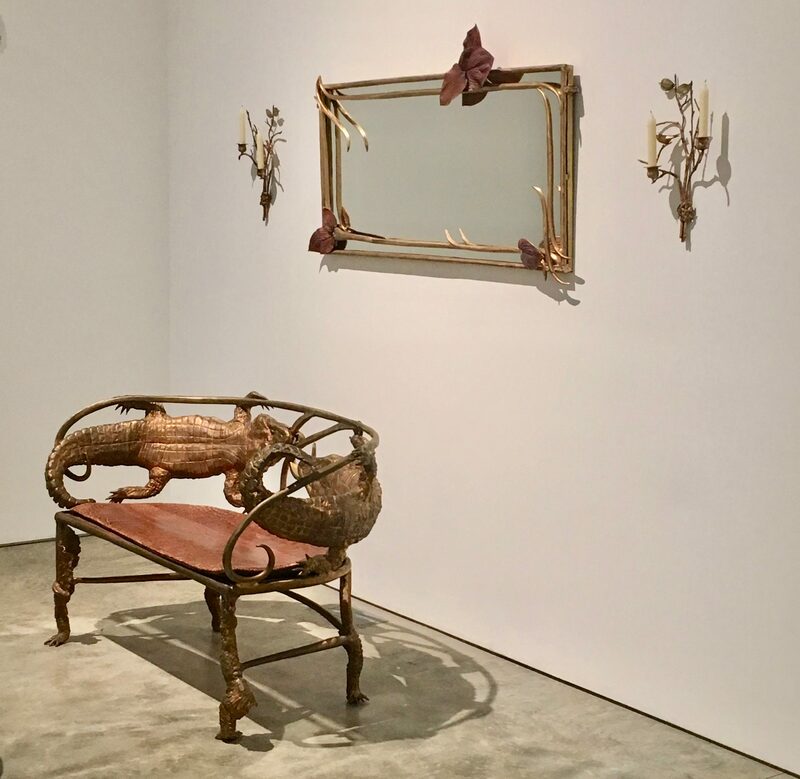 Claude Lalanne’s gilt-bronze Banquette Crocodile is one of the designer’s most sought-after pieces, the realism of its reptiles coming as a result of a trip to the Paris zoo in 1972. 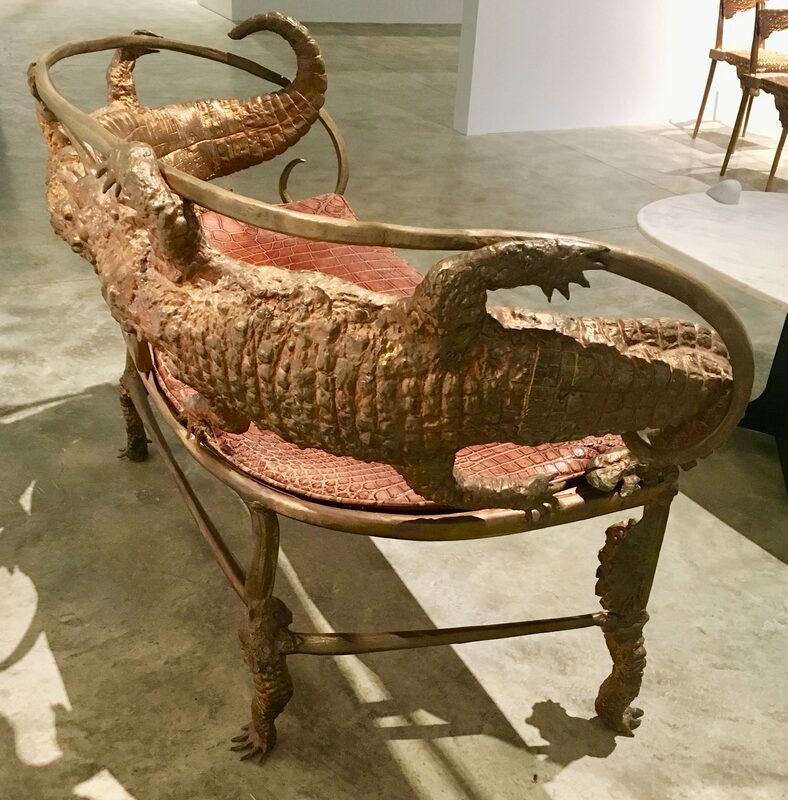 It seems the designer had envisioned the creation of such a piece for quite some time but was in need of an actual crocodile upon which to base it. As the story goes, Lalanne decided to put in a request to the city’s zookeepers for the remains of a crocodile, should one happen to expire of old age when nature took its course. And so a crocodile did pass away and, shortly thereafter, Lalanne went to collect her specimen in the company of fellow artist Niki de Saint Phalle. 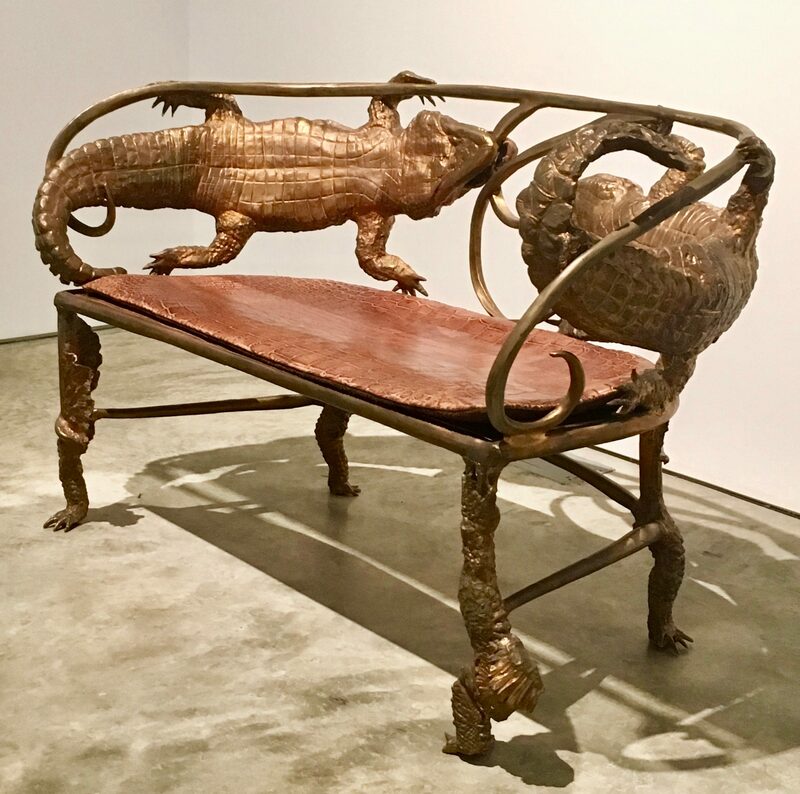 Since then, the highly textured crocodile motif has taken shape in a number of her works, ranging from chandeliers to tables and chairs as well as the bench, which was designed in 2006, and cast in 2007 in an edition of eight with four artist’s proofs. Most of these pieces have been sold at auction at Christie’s and Sotheby’s for anywhere from $500,000 to $1 Million each. 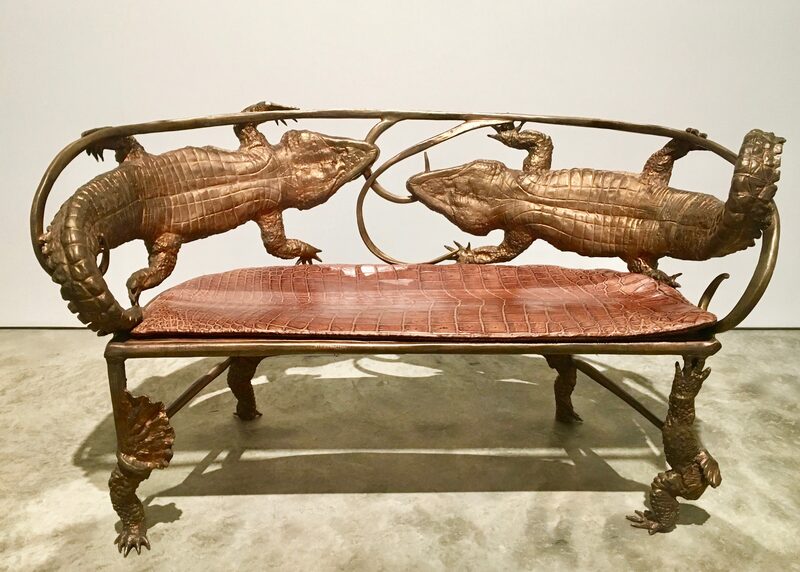 Photographed in the Paul Kasmin Gallery, Located at 509 West 27th Street in the Chelsea Gallery District, NYC, Where You Can See This Bench and Other Works By Les Lalannes on Exhibit Through March 9th, 2019.